Power of Play Day! Free Admission! 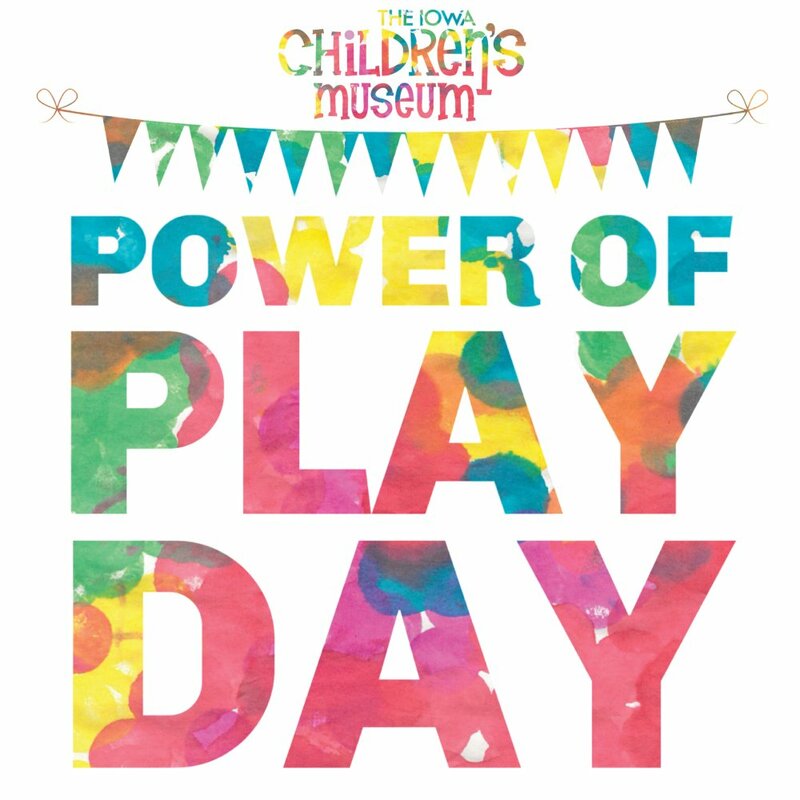 Sunday, December 16th is Power of Play Day at The Iowa Children’s Museum. FREE admission all day long! Join us for a free, fun-filled day. Activities include a box party, glitter tattoos, marble shaving cream art, shrinky dinks, and more! Don’t miss the 2 PM performance by Shimek After School Specials. This free admission day is brought to you by The ICM’s retiring Executive Director Deb Dunkhase and Chad Burtch State Farm Insurance. Come celebrate 20 years of the Power of Play and bid farewell to Deb before her retirement journey begins! Why: To celebrate 20 years of the Power of Play with our retiring executive director, Deb Dunkhase. This is your chance to bid farewell to Deb before her retirement journey begins! Cost: FREE admission all day long!